One of the most important things you have to ask yourself before you pop the question is the following: What engagement ring should I get? Now, we’ve seen all kinds of scenarios, from the guy who took his girl’s best friend with him to shop for the ring to the guy who designed the ring himself and prayed that she liked it. For those of you barely starting the search, we’re here to break it down for you. We all know that what matters is on the inside, so it’s especially important to consider your partner’s personality before you buy the engagement ring. There are obviously dozens of rings out there, but we’ve chosen a few that your girl might like. Here is your job: Look at the following engagement rings and descriptions and see if any of them look like or sound like your partner. Eternally graceful, this ring is perfect for the classic and relaxed girl. This girl doesn’t like to fuss a lot over things and likes to get things done—and get them done right. She is always classy and draws light to her wherever she goes. 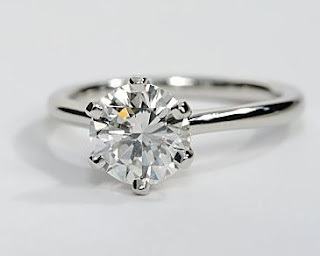 For this girl, choose a pronged-set solitaire. 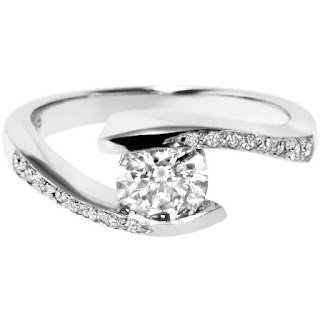 Solitaires have clean and elegant lines that will go with whatever she wears. The simple lines will also be a great source of relaxation. Your beloved will always feel relaxed when she looks at her ring. Is she a social butterfly who lights up a room? For those lovely and outgoing ladies, it’s always best to go for the glamour. She’ll love something that shines just like her. 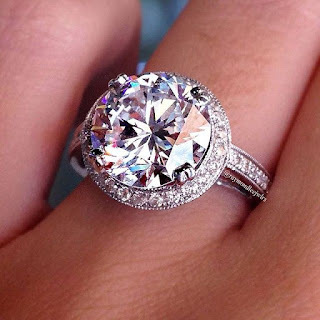 Halo engagement rings are classic and glamorous and appear larger than life (partly because the circle of diamonds around the main rock make the ring appear larger). These rings also radiate energy, which will be perfect for your girl and can serve as a source of inspiration on rainy days. Don’t think we forgot about those girls who really aren’t girly girls. Rings in a bezel setting are perfect for girls who love to be outside and do outdoor activities. They’re no nonsense and simple, perfect for any outfit she’ll choose. These rings are also strong, which is an important quality for this girl. If she wants to go outside and work out, they won’t snag on things or break easily. Bezel rings are sturdy and a source of strength. We know she doesn’t like to ask for help sometimes, but this sturdy ring will remind her she always has you to lean on. Next we have the rings for the girls who like to sing in the streets and have interesting socks (or socks that don’t match). Tension-set rings are perfect for the quirky and unique girls of our hearts. They’re unlike anything you have ever seen before but manage to be exquisitely beautiful at the same time. 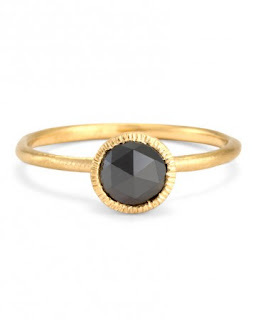 Make this ring truly personal by adding her favorite gemstone or a flash of color. There’s nothing wrong with a bit of color in this world – something we’re sure your quirky girl has already told you. Is she the kindest person you’ve ever met and believes in happy endings? If so, she deserves a beautiful ring that will make her feel like a princess. Filigree rings are perfect for the romantic girls of our lives because they’re delicate and have a worldly aspect to them. 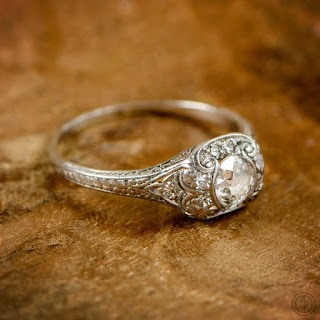 Plus, you can find tons of vintage filigree rings. When you give your ring to your girl, you can be sure to tell her that this ring helped another couple make it all the way. The story will make her heart melt. At the end of the day, no matter what engagement ring you pick, as long as it comes from your heart, it’ll be the right choice. Have any questions about engagement rings or wedding rings for your partner? Ask us in the comments below!